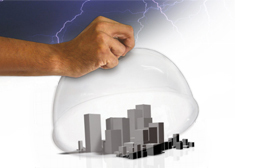 Cirprotec is a pioneer in the design and manufacture of lightning and surge protection devices. For over 20 years Cirprotec has been providing high quality solutions and products using the latest most innovative technology. It is highly internationalised and, in order to be close to its customers, has an extensive network of sales partners and is present in over 60 countries.